Do not treat your new standing seam roof as if it was just any roof; unlike conventional roofing, metal roofs are not simply nailed to the deck. With a standing seam metal roof, installation must be accurately planned, with sheet metal panels being measured and installed in a precise manner. Thus, in order to get the job done right, you need expert contractors who have all the experience and proper training to install standing seam metal roofs correctly. How to ensure a quality installation? 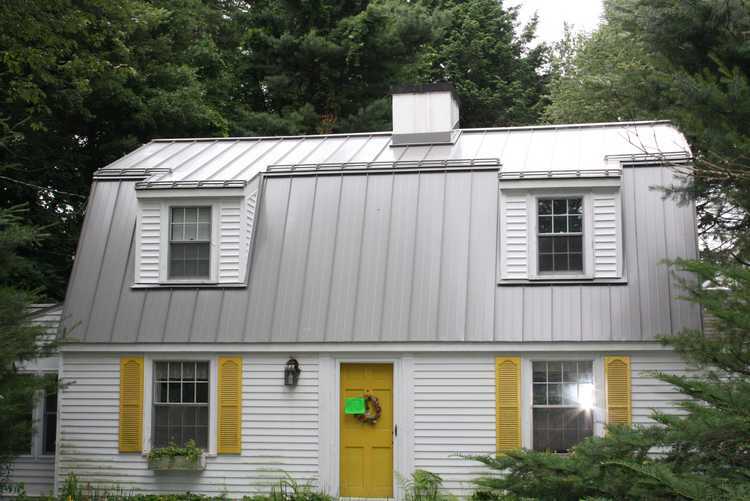 You do not need to know the knitty-gritty details of the installation process for a standing seam metal roof to make sure your contractor is doing a good job. However, there are some basic things that you should be aware of and discuss with the contractor ahead of time, so that you can have the confidence and peace of mind that the installation of your roof will be done the right way. 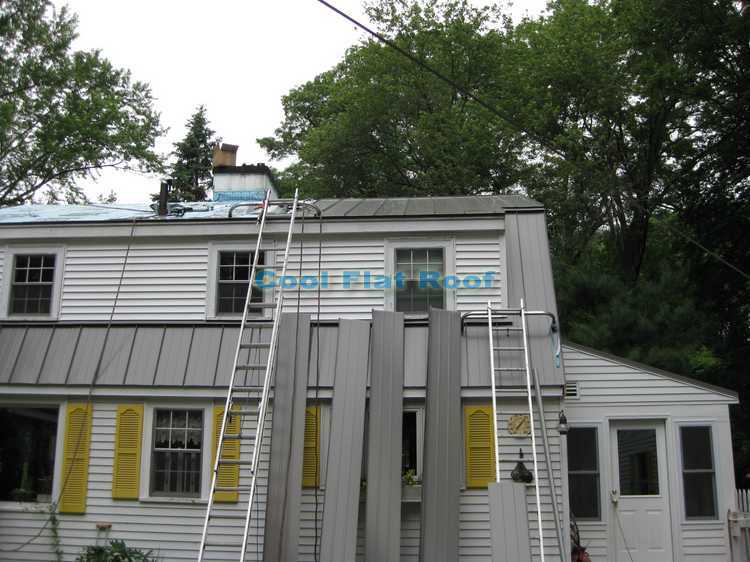 A standing seam metal roof is constructed of multiple panels that run vertically down the roof. 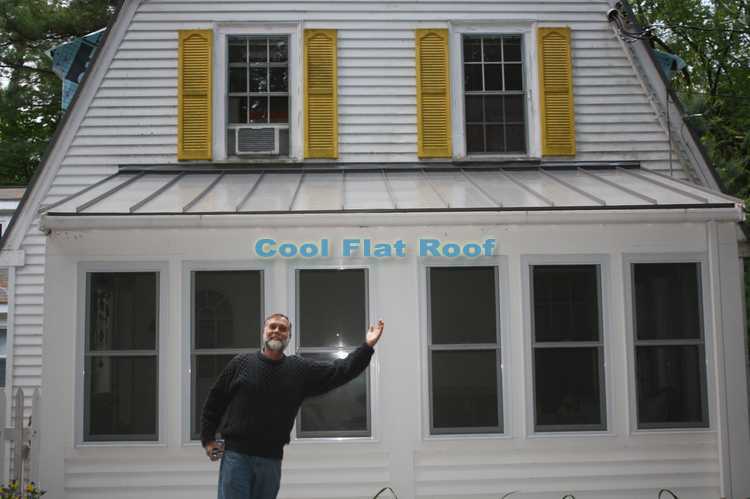 There is a raised portion where two different panels meet, allowing water to easily run off the roof, which prevents leaks and formation of ice dams. These panels are interlocking and can be fastened together in two different ways. The first and more expensive option is to hide the fasteners from view by having each new panel cover/overlap the previously installed panel. The second and less costly option is to install vertical sheet metal panels with exposed fasteners, such as R panels, or corrugated metal panels that attach to the roof deck with visible or exposed fasteners. These exposed fasteners are driven right through the metal panels to secure them to the deck or framing system of the roof. If you choose this option you don’t have to worry that the visible fasteners will ruin the aesthetic appeal of your roof, as with them your metal roof will still look great. The only downside to this option is that exposed fasteners may require re-tightening every 10 to 15 years. 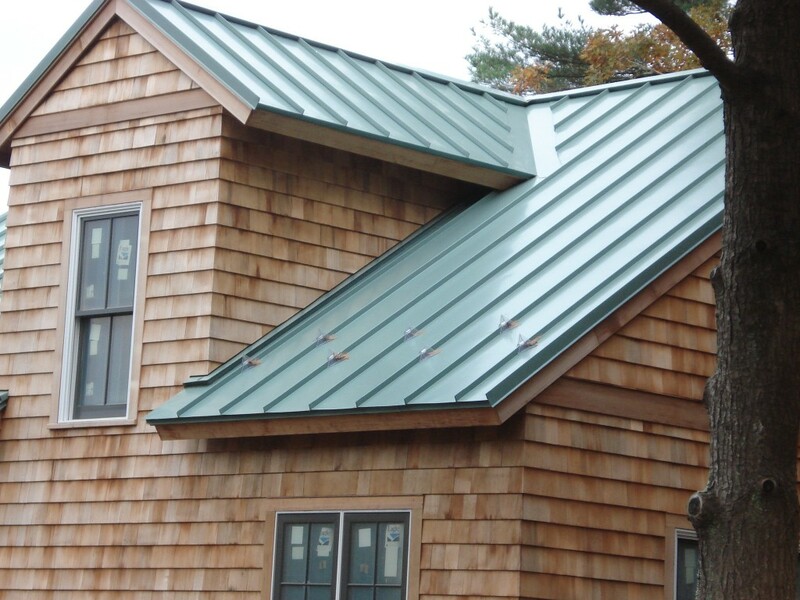 The design of a standing seam metal roof makes the installation both complicated and time consuming. Ample experience and a high level of technical skill is necessary to properly flash all the roof curbs and penetrations such as sky-lights or chimneys, which is a more involved task on a standing seam roof than on other types of roofs. Tear off your old asphalt shingles roof prior to installation! There is a common misconception that is propagated by inexperienced roofers that you can save both time and money by installing a standing seam roof right over your old asphalt shingles roof. – Wrong! 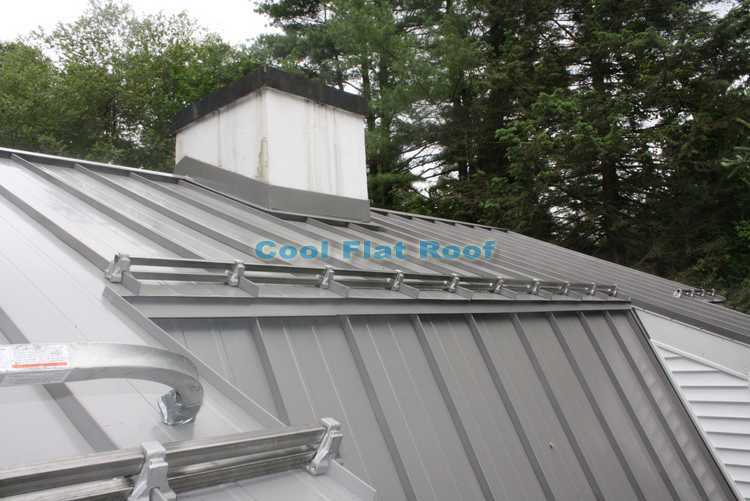 – While this method may work with other types of metal roofing system, it is actually not recommended to install standing seam panels over asphalt shingles. 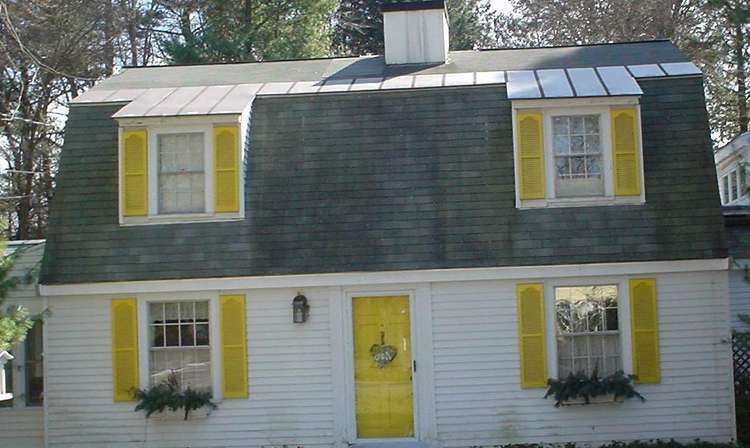 In fact, you may run into some problems down the line if you don’t tear off your old roof. One issue you may run into and want to avoid is known as the so-called “telegraphing effect“. This happens when you install standing seam over asphalt shingles, the shingles can punch horizontal lines in the standing seam metal panels. – This is neither aesthetically pleasing, nor beneficial in terms of longevity of the metal panels. Another issue is that many contractors and homeowners want to spend as little as possible, hence they usually choose to install steel-based standing seam roof (Galvalume or G-90 galvanized steel). The problem with steel is that it can rust, and if you put a steel standing seam roof over asphalt shingles that are covered with stone granules, the expansion and contraction of the metal will rub the underside of the panels against the stones on the shingles. As a result, sooner or later, rust spots will start popping up all over your roof. You can easily avoid all of these problems by tearing off your old asphalt shingles roof. Also make sure that there are no nails sticking out from the roof deck. Once the tear-off is complete, ask your contractor to repair and replace all rotten wood. There is no good reason to install a brand new, lifetime metal roof over an old, rotted decking. There are four unique types of standing seam metal roofing systems: 1. symmetrical mechanically seamed. 2. mechanically seamed hydrostatic panels. 3. one piece snap-lock. 4. two piece snap-lock. You should discuss with your contractor which of the four types would be best for your home. Symmetrical mechanically seamed – This is the newest and most innovative option for standing seam roofs. You get combined benefits of superior weather-tightness capability of the mechanical seam with the replacement options of a two-piece snap-lock panel. The two-piece symmetrical standing seam panels can be installed using fixed clips while still allowing for thermal movement. Due to their symmetrical design, these panels can be easily curved and tapered. 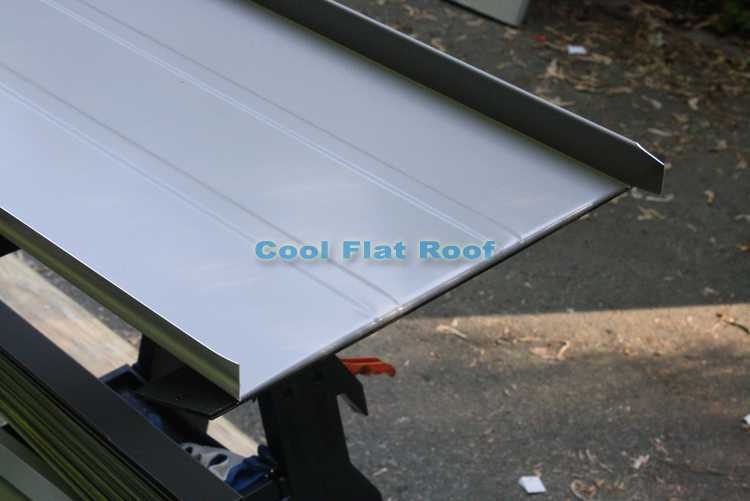 Moreover, it has the added advantage of being able to withstand uplift pressures well in excess of the one-piece structural standing seam panels. Mechanically seamed hydrostatic panels – This is a very popular type of panels, offering superior wind uplift resistance. Proper installation requires that the two standing seam panels be engaged with a special mechanical seaming tool. One piece snap-lock – This type of panel requires two panel seams to snap together. The direct attachment of the panels simulates the look of a mechanically seamed panel without the additional operation of seaming. 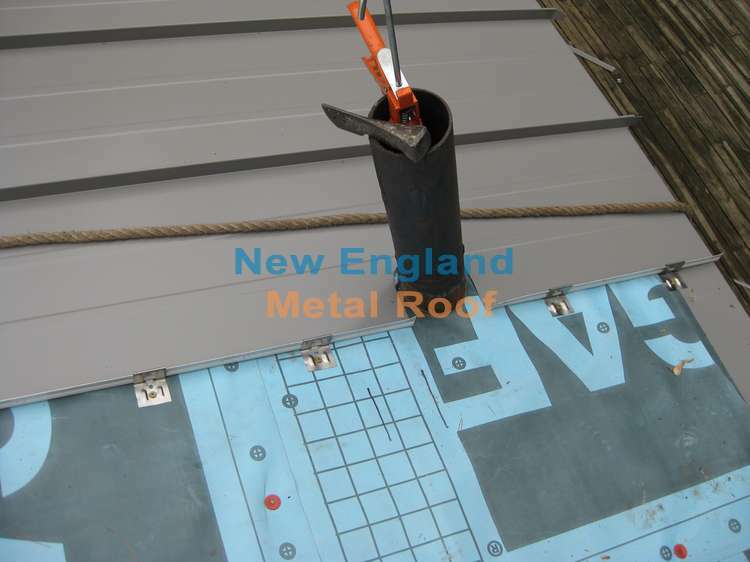 It is not a good idea to install snap-lock standing seam in high wind uplift areas because more clips and attachment points are required to satisfy uplift pressures. Two piece snap-lock – In this type, both a panel and a cap or batten are required. The cap or batten unites two panels by snapping down onto a butterfly clip. For proper installation, these panels require a solid deck with a premium underlayment. They can be installed bi-directionally, which makes it easier to install them on roofs with valleys and hips.